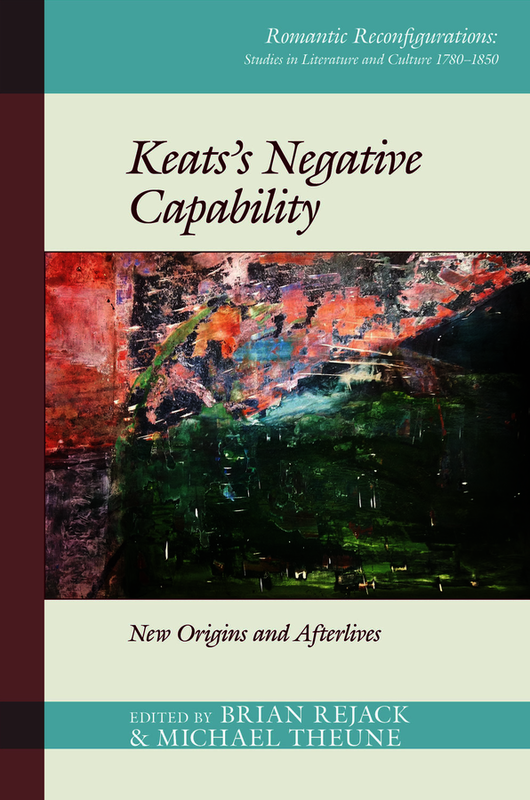 In late December 1817, when attempting to name “what quality went to form a Man of Achievement especially in Literature,” John Keats coined the term “negative capability,” which he glossed as “being in uncertainties, Mysteries, doubts, without any irritable reaching after fact & reason.” Since then negative capability has continued to shape assessments of and responses to Keats’s work, while also surfacing in other contexts ranging from contemporary poetry to punk rock. The essays collected in this volume, taken as a whole, account for some of the history of negative capability, and propose new models and directions for its future in scholarly and popular discourse. The book does not propose a particular understanding of negative capability from among the many options (radical empathy, annihilation of self, philosophical skepticism, celebration of ambiguity) as the final word on the topic; rather, the book accounts for the multidimensionality of negative capability. Essays treat negative capability’s relation to topics including the Christmas pantomime, psychoanalysis, Zen Buddhism, nineteenth-century medicine, and Philip Pullman’s His Dark Materials trilogy. Describing the “poetical Character” Keats notes that “it enjoys light and shade; it lives in gusto, be it foul or fair, high or low, rich or poor, mean or elevated.” This book, too, revels in such multiplicity. Brian Rejack is Associate Professor of English at Illinois State University. Michael Theune is Professor of English at Illinois Wesleyan University.